May 21 through the 27 marks National Emergency Medical Services (EMS) Week and during this week we are taking the time to honor those who are EMS professionals. But, more importantly, honoring them because they have dedicated their own lives to preserving the lives of others. We were lucky to speak with a Minnesota EMS professional who was able to open our eyes to the amazing world of EMS, along with sharing her own story and why she chose this profession. However, before reading her story, we are going to give you a little history lesson on how EMS even became a thing. 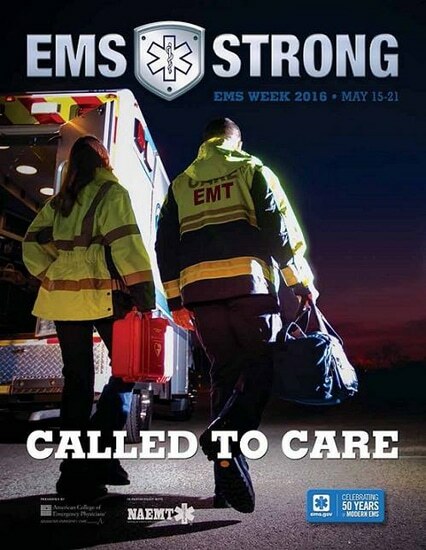 Now get to reading and remember to thank an EMS professional this week. Some of us may not be here without them and you never know when you may need them. The report shared that the number of vehicle accidents during 1965 killed more Americans than the number of people we lost during the Korean War. The report also stated that, “if seriously wounded … chances of survival would be better in the zone of combat than on the average city street.” On top of pointing out these two disturbing details, the report also noted there was a huge lack of regulation and standards when it came to ambulance operations and training. As the Journal Of Emergency Medical Services explains, “Commonly known as ‘the White Paper,’ this report made several recommendations for the prevention and management of accidental injuries, including the standardization of emergency training for ‘rescue squad personnel, policemen, firemen and ambulance attendants.’” With that, as mentioned, the first actual EMS curriculum was published in 1969. Kristi Jarvis is an EMT and Sexual Assault Nurse Examiner (SANE) at Hennepin County Medical Center (HCMC); not only has an amazing story, but also represents many EMS professionals in why she chose this line of work, or should we say, life. “My journey into the EMS world began as a senior in high school. My oldest sister became a First Responder when she was a senior, and my Mom became an Emergency Medical Technician (Basic) shortly after that. It started to become a family affair. I had always been interested in medicine and thought this would be a great way to get experience and give back to the community. We lived in a small town/county (Hinckley, Pine County) and, at the time, the ambulance service was comprised only of volunteer First Responders and EMT-Bs. “After working as a First Responder for a couple of years and realizing that I wanted to go to nursing school, I became an EMT-B in order to gain additional medical experience and put myself through nursing school. I continued to work on the Pine County Ambulance for ten years. This was one of the best decisions of my career. “I chose this profession for a number of reasons. I am a bit of an adrenaline junkie and I loved never knowing what the next day, next shift, or next call would bring. I thoroughly enjoyed the rush I would get when the pager would go off, at least the majority of the time. Don’t get me wrong, after the third page in the middle of the night, I would also get an overwhelming feeling of wanting to throw the pager across the room at times too! “Working on a rural ambulance service brought unique opportunities as well. During the years I worked in Pine County as an EMT, we did not have paramedics on our staff. So, we worked closely with our Medical Director to develop protocols, which allowed us much more flexibility in the field. We were responsible for obtaining intravenous and intraosseous access, administering medications, inserting advanced airways, etc. One of my favorite aspects of this job was the autonomy it allowed and critical thinking we had to use on nearly every run. This has helped advance my practice in more ways than I ever thought possible. “No shift was ever the same. Every time I turned on the pager, I never knew what was going to happen. I can remember receiving a page to do a transfer down to a hospital in Minneapolis and being told the weather conditions were too adverse for LifeLink to transport via air, but we still had to transport the patient. 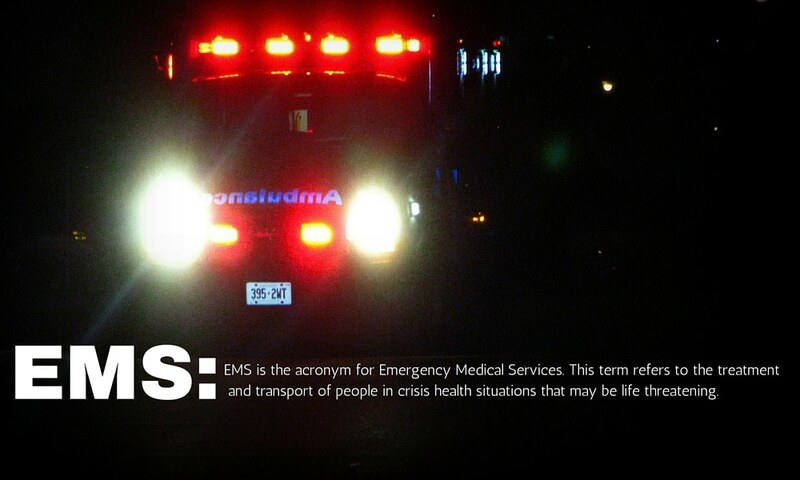 Regardless of the time, no matter the weather, EMS is always there. My Mom and I would run together and over the years we have had a lot of cases that we will never forget. We have saved several and lost too many. Next to creating a life, the finest thing one can do is save one. Photo credited to the JEMS.